For those of you who read my blog on a regular basis, then you would know that I'm obsessed with anything health and fitness related. I've lost a total of 111Lbs so far, and looking to lose at least 50Lbs more. To enjoy fitness products, you don't have to be on a diet, you just want to be as healthy as you can. I recently came across an awesome, unique fitness product called Journey Gym. What is it? It's basically a gym that you can take with you wherever you go. The whole thing folds up into a "Fitness Laptop" type of item, and works your whole body. Looking for the perfect holiday fitness item for someone special? 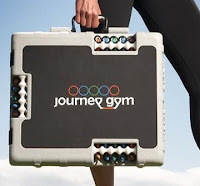 Well the Journey Gym is one of the latest, coolest items! Journey Gym is the world’s first truly portable universal gym and is the only product of its kind that literally can go anywhere and will be everywhere. Studies show that the primary reason we don’t maintain our fitness and in turn don’t get in or stay in shape is that we are not consistent in our workouts or fitness programs. We start to workout, but then we have a business trip or the kids get sick or life just gets hectic. In turn, we don’t go on that run, we don’t get to the gym and then days turn into weeks, then into months and even into years. The journey gym brings consistency back to your fitness life by going anywhere that you could and would workout including your home, your office, your hotel, even your back deck. It allows you to get in real alternating strength and cardio workouts, known as circuit training, in just 5 to 20 minutes even when you are on that business trip, when the kids are sick, when life gets hectic. Health is a journey, begin yours today. So what comes included with a Journey Gym? 30 resistance bands (five on each side plus ten additional bands) for a customizable resistance system of 5 to 75 pounds per side. One set of adjustable handles so resistance only begins when you are in the correct position. Full set of legs which are used to raise the gym into a stair stepper for a full cardio workout. A workout DVD specifically designed for the gym with a 5 minute set up video, a 10 minute circuit tone workout and a 20 minute circuit strength workout. A free online community at www.journeygym.com where you are able to create exercise videos, track your activity and nutrition, and share your progress with friends and family. Free shipping and handling (offer good for orders in the U.S. and Canada only). Sounds like something you would love to own, or like to give as a gift? Click here to purchase yours today! Interested in reading their blog, and find some helpful fitness and health tips? 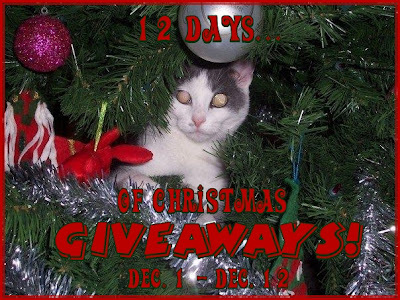 Click here to visit their blog!